Good on ‘ya for helping this perplexed kitty!!! Good catch! I’ve made the change. Thanks for pointing that out. Thank you officer for helping the poor cat. I wish for more caring people like yourself. This is an awsome story, really; I love how the deputy saved the cat because the description tells the story of a cat not long for this world if Shane hand’t helped. I’m confused though why the Kitsap Sun didn’t comment about the Suquamish Police Officers who did CPR and used an AED on an elderly man a week or so ago? Sure the cat being saved is a heart warming story but so is a mans life being saved. On behalf of the cat, I thank Mr. Hanson for saving the cats life. I had a situation involveing 2 racoons fighting and had called the police. I was told basiclly its not thier concern. so when i read this article, I thought, hey there are some good people out there. Thanks again Mr. Hanson for caring for our 4 legged animals out there. Darn it my evil plot was spoiled again by the cops! My plan was brilliant! 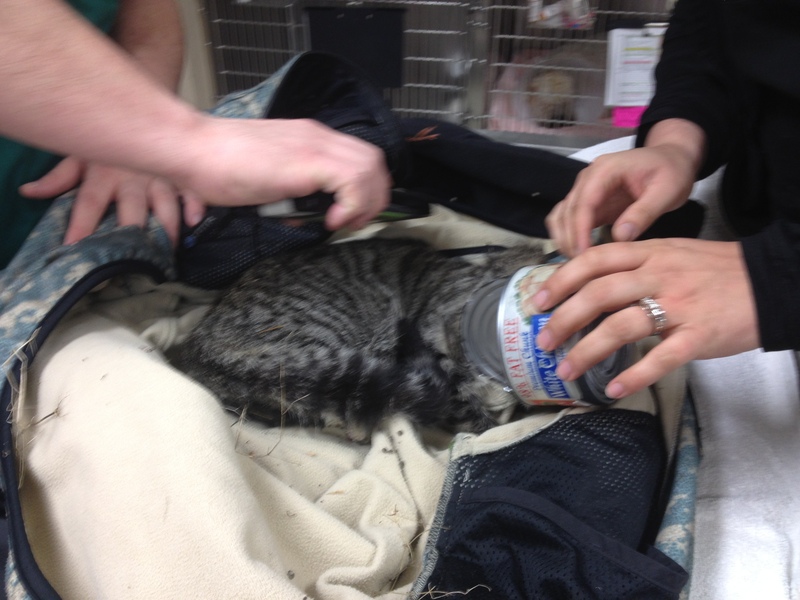 A cat getting its head stuck in a tuna can, oh the irony! Brian, that word is also spelled Ferrule. just as it should go down! REAL Men Are Kind to Animals for sure! Thank you Deputy Hanson. You are a kind man.